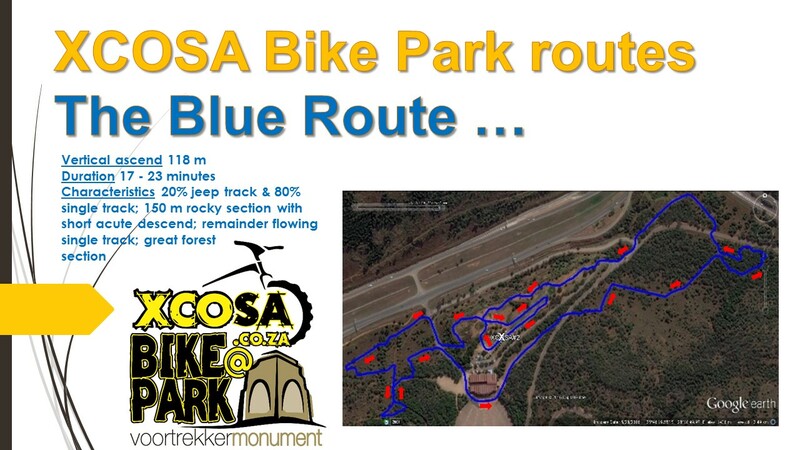 Mountain bike enthusiasts now have a bespoke riding and training facilities in the virtual center of Pretoria! 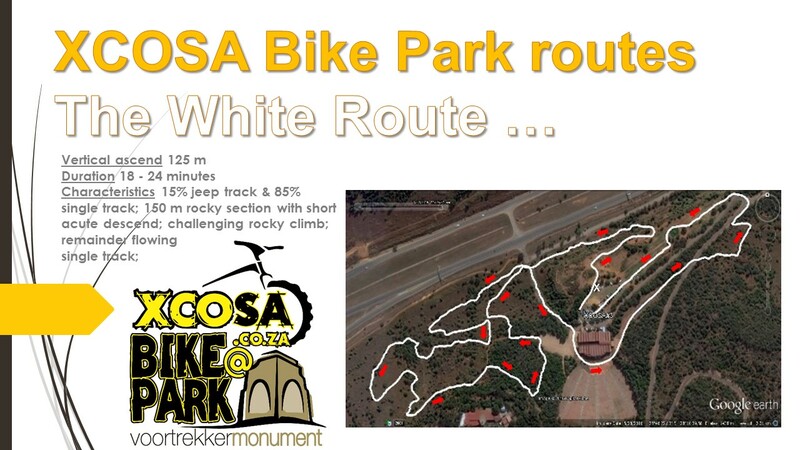 The new XCOSA Bike Park, Voortrekker Monument has been developed over the past few years and is regarded as one of the top mountain bike cross country Olympic (XCO) destinations in the country. 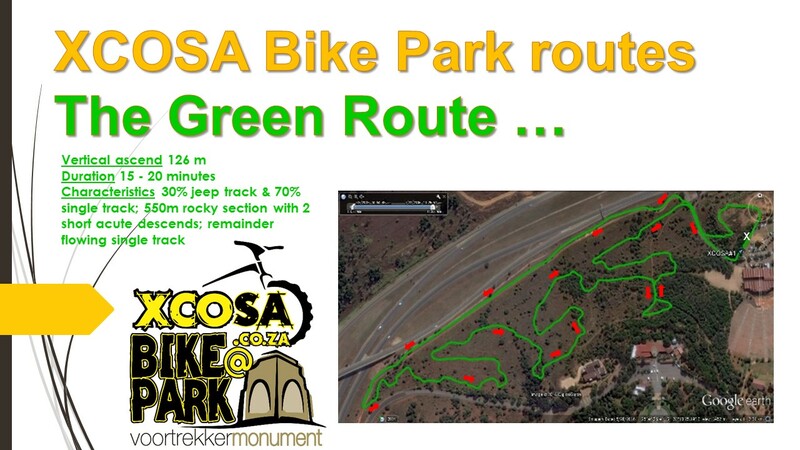 The Bike Park has to date played host for top level mountain bike events ranging from a UCI XCO World Cup, a national XCO Cup, provincial XCO events and our own XCOSA development series. The Voortrekker Monument’s licensed restaurant and delhi offers the best, ablution facilities are impeccable and our picnic areas, with proper, clean barbecue facilities cater for all sized groups. All tracks are designed and build with XCO development in mind. XCO, being the only mountain bike Olympic discipline, is pivotal to mountain bike development at large. Hence, in addition to offering a mere riding facility, we have also developed a high tech high touch performance laboratory, applying the latest technology for performance development. 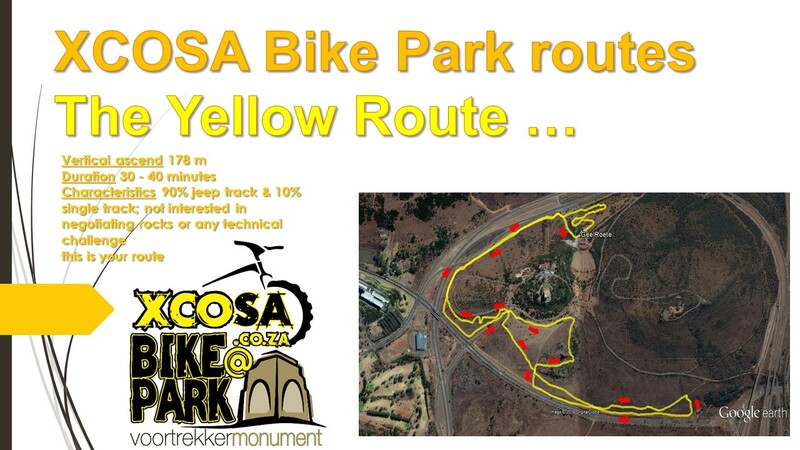 XCOSA caters for all levels of mountain bike performance conditioning, from functional fitness to mind coaching and nutrition – and the XCOSA Bike Park, Voortrekker Monument is perfectly suited as conditioning simulator. The crux is to ensure a facility that accommodates all levels of participation, from recreational use to top performing athlete conditioning. Safety is always a concern as it can never be guaranteed, and we encourage riders to always be vigilant. We work closely with the Head of Safety at Voortrekker Monument. 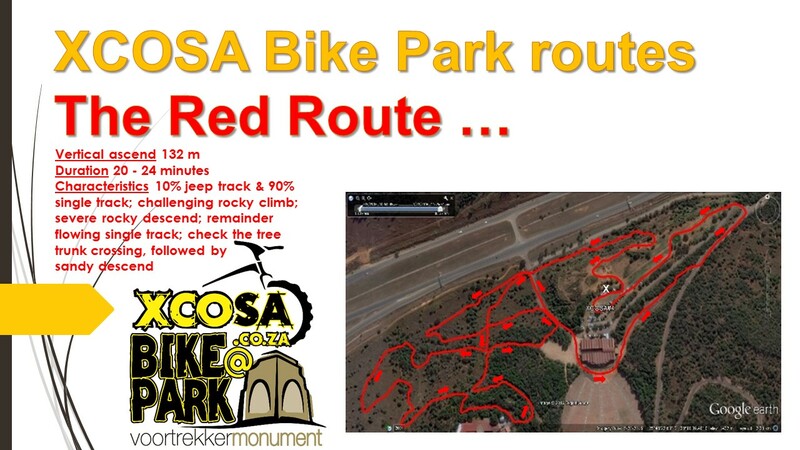 Since our 1st safety incident in March 2015 Voortrekker Monument has introduced a number of measures – from daily vehicle fence patrols to daily foot patrols by guards and dogs, patrols on horseback, on mountain bike, and many other planned interventions, all contributing to the fact that XCOSA Bike Park is one of the safest riding venues around.